One of the most powerful ways to engage audiences and get a ton of love from the search engines is through infographics. These statistic-visual graphics have been the most popular types of content in the world for good reason. They’re easy to read and digest, and people love images. Put visuals and text together in an easy to follow and simple manner, and you have a killer infographic. Even better is that infographics get liked and shared about a million times more than article content. In this day in age where people want to get solutions quickly and consume content without spending too much time scrolling down the page, infographics do the job better than any other type of content. For the non designers, creating infographics can be a challenge but here you get a monster collection of high quality infographics which you can use for any purpose you wish. They are great for selling, showing, promoting and connecting with users and customers. And infographics are massively popular across social media. They are proven to get many more clicks and likes than even videos. Throw away the graphics tools because you get everything you need right here. 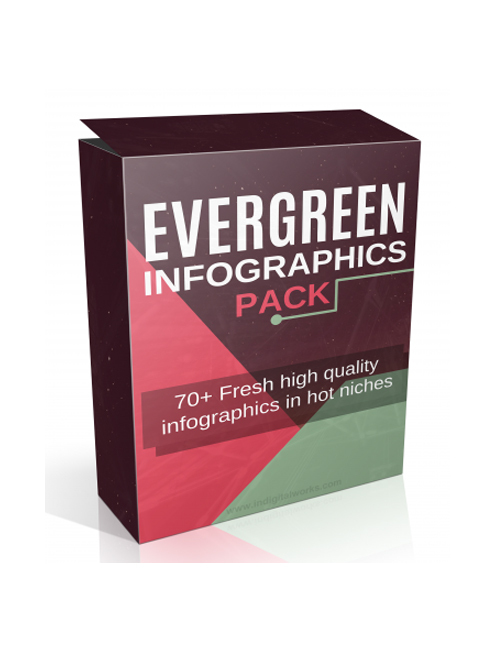 Hit the download button now and grab this awesome pack of evergreen infographics.